​The following graph demonstrates how the achievement gap is only increasing for English Learners. In the Napa Valley Unified School District, it is the goal to have all students college and career ready. Closing the achievement gap is imperative in NVUSD; their student population is 54% Hispanic or Latino. To accomplish this goal NVUSD not only implements the CCSS, but they also implement 21st century skills known as the 4 C’s (Critical Thinking, Creativity, Collaboration, Communication) in every classroom. It is expected that all students learn how to think critically and creatively as well as collaborate and communicate with their peers. In order for a student to even attempt one of these skills, it is necessary for the student to feel that their classroom is a safe place to express thoughts and ideas. When students learn how to collaborate and feel safe to do so, their participation in class increases along with motivation to learn. ​PBL helps address the Common Core and other present-day standards emphasize real-world application of knowledge and skills, and the development of success skills such as critical thinking/problem solving, collaboration, communication in a variety of media, and speaking and presentation skills. Unfortunately, not all students are willing to share what they want to learn, share what they think they know, or they may have high anxiety with the idea of speaking and presenting ideas to an audience. A classroom should be a safe place for questioning, inventing, exploring, and creating! It is very difficult to do these things if she or he does not feel comfortable or safe. It is the goal of this study to find possible answers/reasons to why that is and find possible solutions for this issue. The nine years of my teaching have shown that the most difficult students are actually not the ones that consistently interrupt class, or the students that always have the answer before the teacher even finishes the questions; they are the students that are well-behaved, quiet, rarely ask for help, and easily hide behind the shadows of the other students. It is my goal to convey how to better reach these students that hide in the shadows. 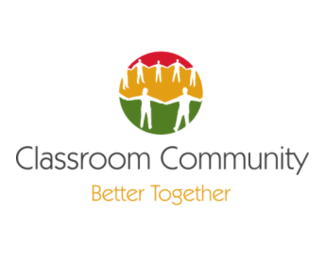 The goal of this project is to help teachers get to know all students but especially the students who hesitate or find it difficult to belong to the classroom community. It is imperative for teachers to learn new techniques on how to reach students like these; not only for the betterment of the teacher improving his or her craft of teaching but for the students that are like the above mentioned and the students that follow them in the years to come. To the left is a popular and inspirational TED Talk by educator Rita Pierson. Rita is has been part of education practically her entire life! "You know kids don't learn from people they don't like!"